Demand for communications grows and grows. This is a good thing. The trouble is many people think they have the answers before the plan has even taken shape. This has always been a problem but it’s one which appears to be gaining momentum. I led comms teams for well over a decade and one of the things which continually surprised me was the stream of staff coming into to office to request comms work where they had already decided the tactics. Now the trouble is all of the above might STILL be the right thing to do. But when we begin the process by launching straight into tactics we have literally fallen at the first hurdle. We are all duty-bound to defeat this unqualified and growing trend. And we do it by acting strategically not by agreeing to whims. Many of you will do this. Daily, for some of you. But there is a looming trap door of acceptance if we don’t keep a tight grip on this problem. Now the first thing we have to do is qualify whether the work request is a priority to the organisation: Is it a genuine priority, and do we have the capacity, resources and skills to deliver it? If so, great, let’s work on a comms plan. Together. Some comms plans can be a side of A4 completed in 20mins for a small piece of work. 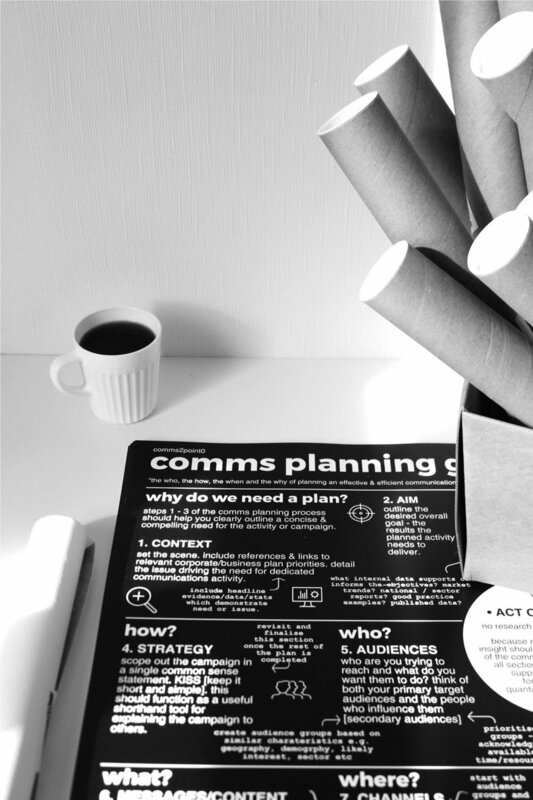 Here’s a FREE comms planning guide download to help. When we guess we very often get it wrong. Guessing is bad, guessing will fail often, guessing will waste time and resource. Guessing is for the birds.